The Tring Boundary Trail is a circular route which follows, as closely as possible, the parish boundary of Tring. It was devised by members of Tring Running Club in 2015 as part of the celebrations for Tring’s 700th anniversary as a market town. The trail uses public footpaths, permissive paths and the canal towpath. There are a few short sections on lanes and roads. The total distance is approximately 45km or 28 miles. The TBT can be followed entirely with the route description. There are no TBT waymarks. Ordnance Survey maps Landranger 165 (smaller scale) or Explorer 181 (larger scale) cover the entire route. The route description includes compass bearings in a handful of places by way of confirmation of direction but you do not need to use a compass to follow the route. The map would be needed only if you depart from the route or wish to devise your own “cut-backs”. Grid references are provided where the route crosses roads in case you wish to arrange support by car. The route description starts and ends at the Bridgewater Monument in Ashridge and the trail takes a clockwise direction. However, you could start the trail at any intermediate point. If you wish to start and finish the trail in Tring itself, the two nearest start points are Marshcroft Lane canal bridge or the Aylesbury Road near Tring Cemetery. For the flatter, northern section, start at Aylesbury Road heading towards Wingrave and finish at Marshcroft Lane canal bridge to make your way back to Tring town from there – total distance about 27km. 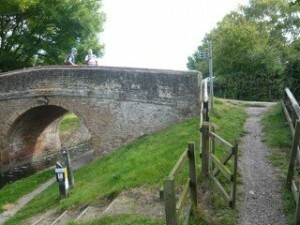 For the hillier, southern section, start at Marshcroft Lane canal bridge heading towards the Bridgewater Monument and work round to Aylesbury Road then back to Tring town centre – total distance about 25km. As the route is circular, there are many opportunities to cover shorter sections and to cut back to your start point or simply to retrace your steps. The best way to do this is by using the Ordnance Survey map. 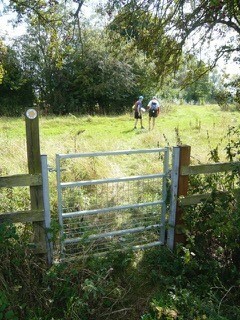 The trail is predominantly on public footpaths. 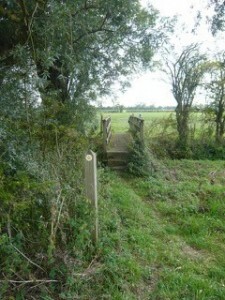 There are numerous gates, kissing gates and stiles as well as footbridges. Part of the route is on the canal towpath. After rain, some paths can be very muddy! The route follows or crosses several roads at which extreme care should be taken. The lanes and roads are narrow and bendy and drivers will not easily see walkers/runners. The southern section has several steepish climbs and descents. The northern section is mainly flat. Many paths cross agricultural fields and the state of the path will vary with the seasons. After ploughing, the paths may not be distinct on the ground. Likewise, when crops are growing the path may be obscured by growth. In winter, fields can often be very heavy underfoot with clay soil. In summer, large cracks can develop in parched fields. At several points the public footpaths cross farmyards, stables and private gardens. Fields may also have farm animals in them. Anyone following this route description does so at his or her own risk. Car parking close to the route can be found at Bridgewater Monument, Startops Reservoir, Wilstone Reservoir, Pitstone Hill as well as on the roads in the villages of Wigginton, Cholesbury, Wingrave, Long Marston, Marsworth and Tring town centre. When parking on the roads, please park safely and with consideration for residents and other road users. The villages of Wigginton, Cholesbury, Wilstone, Wingrave, Long Marston, Marsworth, Bulbourne and Cow Roast all have pubs on or close to the route. In addition, there are cafes at The Bridgewater Monument, Ashridge and on the canal at Startops Reservoir, Marsworth. We have prepared a narrative of points of interest around the trail. We hope you enjoy the trip back in time!